Carlos Ray Norris (born March 10,\n1940) is an American martial artist, actor, film producer and screenwriter.\nAfter serving in the United States Air Force, he began his rise to fame as a\nmartial artist, and has since founded his own school of fighting, Chun Kuk Do. Norris appeared in a number of action films, such as Way of the Dragon,\nin which he starred alongside Bruce Lee, and was The Cannon Group's leading\nstar in the 1980s. 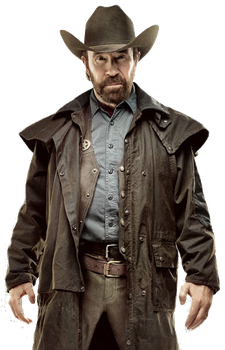 He played the starring role in the television series Walker,\nTexas Ranger from 1993 until 2001. He and his wife Gina have been raising honeybees on their Texas ranch. He knows the value and importance of bees. As far as\nimportant species in this world go, they are top of the list. He says: “Let us not forget the great gift of honey, the taste of sweet\ngoodness as it was once described. We love our harvest of honey. It is 100\npercent natural. We need to stop for a moment and just think of the utility of\nwhat honeybees produce: A completely natural ingredient used in cooking, baking,\ncandle making and beauty products from oils, to lip balms, soaps, face creams\nand lotions. The honeycomb itself is a remarkable feat of nature. It consists\nof what is called propolis. Propolis is essentially a kind of “bee glue” that\nhoneybees produce used as a sealant for unwanted open spaces in the hive. It\nhas been championed for years, along with honey, for its immune-boosting,\nanti-bacterial, anti-inflammatory properties. Bees are easily amongst the most important insects on Earth to humans\nand they are dying at an alarming rate. They need our protection.